*Celebrate Easter with 20% Off Cross Pendants for a limited time. No coupon necessary, discount applied at checkout. Excludes sale items, in-store Specials, previous purchases. Does not combine with other promotions. Travel worry-free and still enjoy gorgeous diamond jewelry! With thousands of styles to choose from, we have what's right for you. Diamond Quality Cubic Zirconia jewelry set in solid 14K gold, 18K gold, or platinum. Get outta town! Travel worry-free and still enjoy gorgeous diamond jewelry! With thousands of styles to choose from, we have what's right for you. Diamond Quality Cubic Zirconia jewelry set in solid 14K gold, 18K gold, or platinum. Just about every style we have can be made in 14K Rose Gold. Many styles on our website already have 14K Rose Gold as a setting color option. Start your rose gold jewlery collection today with Mystique! 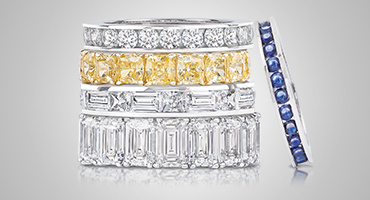 Celebrate your everlasting love with an eternity band set in solid 14K gold, 18K gold or platinum. 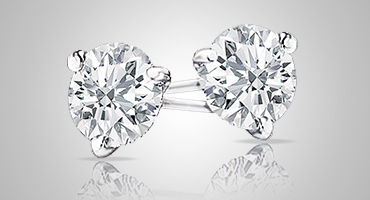 Luxurious and affordable, our diamond quality cubic zirconia carries a lifetime guarantee. Seeing is Believing! 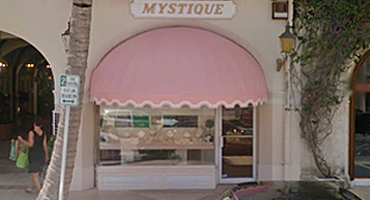 Many customers make Mystique a day-trip destination to see our jewelry in person. If you are anywhere in Florida, Worth Avenue is definitely worth the trip. Looking for the perfect earring to enjoy? Our Diamond Quality Cubic Zirconia set in solid 14K gold make the perfect earring stud option for traveling and everyday wear. Your love endures the test of time. So will our eternity bands! Our Diamond Quality Cubic Zirconia bands allow you to have the look you’ve always admired without the worry.